Composite Floor Decks Limited Health and Safety Policy recognises the need to constantly develop its methods of working to minimise and remove risk. One of the key company edicts is that all staff will be protected by safety netting. 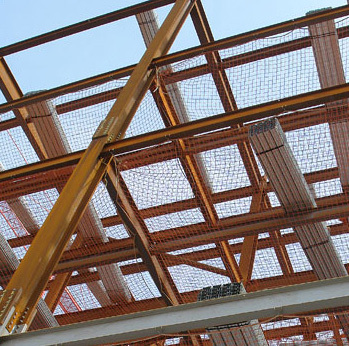 To ensure that its teams receive this protection Composite Floor Deck design and install safety netting systems in accordance with BS 1263 Parts 1 & 2 to all unpropped systems.